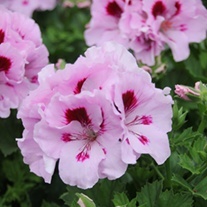 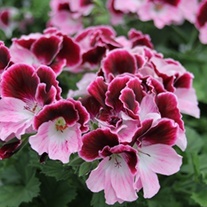 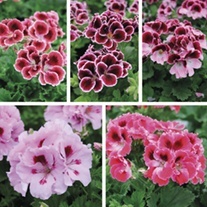 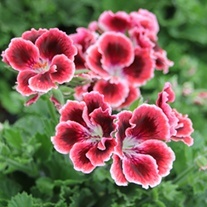 These majestic pelargoniums are elite members of the geranium family. 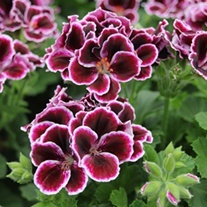 The classy blooms come in a diverse but always alluring range of shade and colour variations, and are often frilled or ruffled. 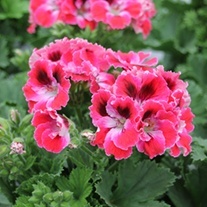 Multiple flowers cluster together on a single stem to create superb spikes of flamboyant, bouquet-like blooms.